Background: Mobile technology is a rapidly evolving field allowing healthcare providers to reach patients outside of a traditional face-to-face setting. 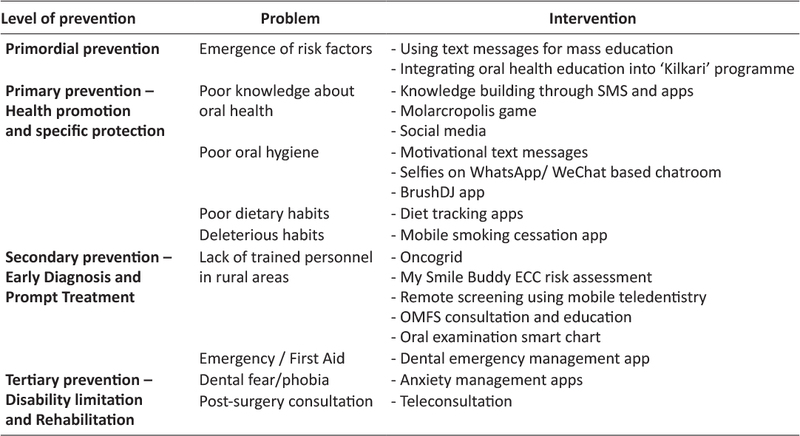 Fortunately, interventions are now becoming readily available via mobile devices such as mobile phones, smart phones, and tablets, yet there has been little attention to the design of these interventions so that they are theoretically-driven (informed according to a behavioral theory or model) and ethically performed. Objective: To provide data on theoretically-driven interventions that were empirically tested and to analyze the features and strategies used to implement these interventions. Review Methods: This study employed a scoping review methodology according to the Joann Briggs Institute. An electronic database search yielded 20 eligible articles. Results: The participants spanned various health domains: cardiovascular (weight control, physical activity, diabetes), cancer (pap testing), prenatal care, substance use (alcohol recovery, smoking cessation), and HIV and/or sexual risk assessment. Social Cognitive Theory, Health Belief Model, and Transtheoretical Model were applied most frequently to guide interventions. Conclusion: Future work should focus on the application of theory and how various implementation techniques translate to the overall effectiveness of the intervention. Sri Lanka has a unique primary healthcare system with diverse community based healthcare services. Emerging health challengers in sustainable development era needs to be addressed with special emphasis on universal health coverage. mHealth technology is an evidence based intervention to cater the novel healthcare priorities. mHealth needs to be integrated into the existing health system functions, rather stand-alone resolutions. mHealth applications are used for behaviour change communication, point-of-care diagnosis, vital event registration, data collection, electronic health records, provider-to-provider communication, human resource management and supply chain management initiatives. Incorporating these mHealth interventions at community level are essential in resolving future health challengers in Sri Lanka.